I use the program TESTFDC by Dave Dunfield to evaluate the capabilities of the floppy disk controller chip. "This program evaluates the floppy disk controller in your system to determine how well it performs at single/double density at various data rates. It also tests MFM operation with 128 byte sectors. Many PCs cannot access these disk types. If you plan to use my ImageDisk program to archive and restore non-PC format disks, this program should help you find a PC thats up to the task." 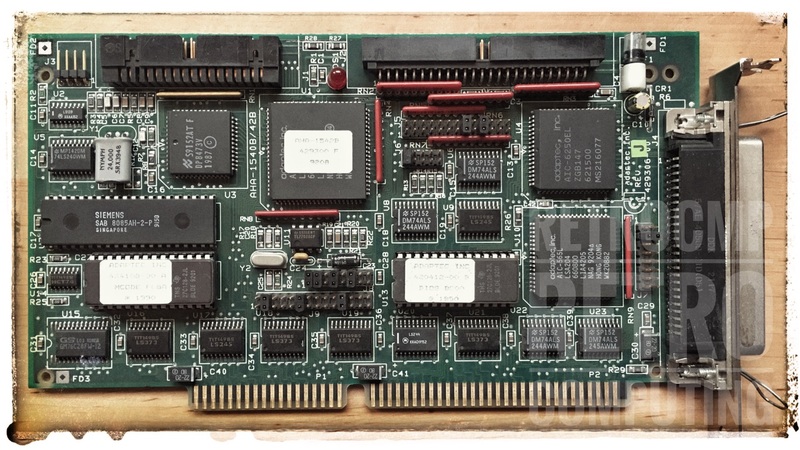 Dave Dunfield has conducted a number of tests on mainboards and floppy controllers. For this reason I want to limit myself to two very good floppy disk controller chips. One is the WD37C65B from Western Digital and the other is the DP8473V from National Semiconductor. The two ISA floppy disk controllers are the Western Digital WD1003V-MM2 or WD1006V-MM2 and the AHA-1522A or AHA-1542B from Adaptec. Especially the Adaptec controllers are perfect, they can handle 128 bytes/sector and single density (SD) without any problems. See my test results for the AHA-1542B below! So far I have always used the WD1003V/1006V-MM2 floppy controllers. But I switched to the Adaptec SCSI controller AHA-1542B now. The SCSI function don't have to bother you. You can switch off the SCSI function and the BIOS with jumper J6-1, see installation guide. But even with the BIOS switched on, the card works perfectly. I still use an MFM controller for my two hard drives (usually Seagate ST225). As hard disk controller I use the WD1003V/1006V as variant MM1, i.e. without FDC. My Copy II PC OptionBoard Deluxe is also inserted between the floppy disk controller and the floppy disk drive. Everything works fine. Wolfgang Kainz-Huber from Computermuseum München also recommends an Adaptec SCSI controller card with floppy function. However, he uses an AHA-1542C. I also have such a card, but mine has a Zilog Z84C00010VEC FDC chip. It can't even read/write SD! The AHA-1542B is top of the range. Besides the two floppy disk controller chips WD37C65 and DP8473V there is also the PC87306 (National Semidonductor), which according to Dave Dunfield can also read and write the single density and the 128 byte format. But at the moment I don't have a corresponding FDC to confirm this. I don't know of any ISA controller card that uses this chip! May be You? Somewhat later. Those who can read have a clear advantage in life! 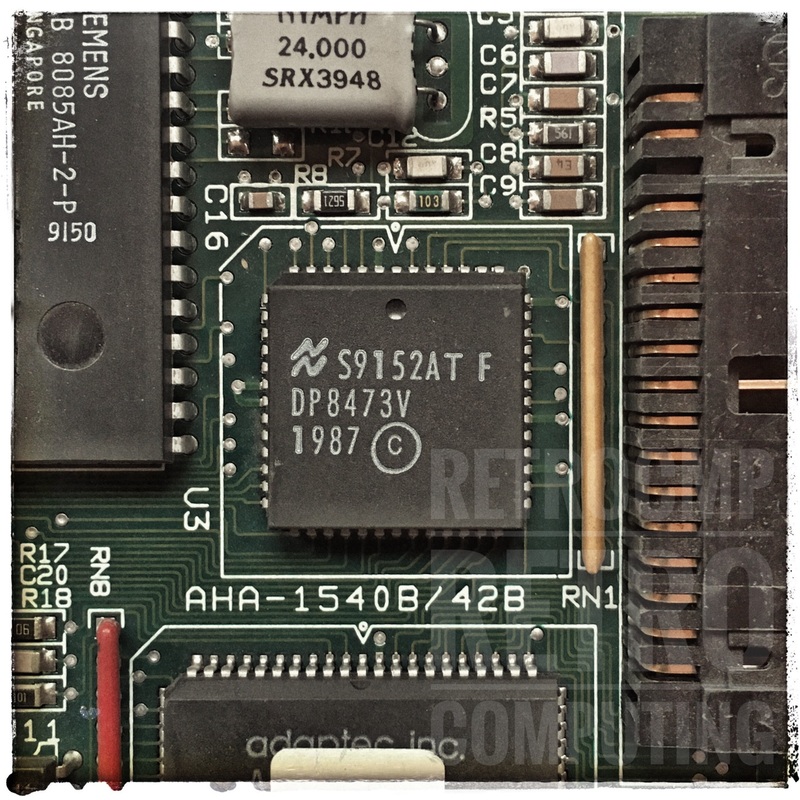 I took a closer look at the data sheet of the PC87306. According to the information there, the so called Super I/O chip is actually rather intended for a motherboard and not a plug-in card! *) With Copy II PC OptionBoard Deluxe (FDC -> OB -> FDD).